Full disclosure: when I purchased the online coupon, I had no idea what kind of food they served at CRAVE. Or that it was a chain restaurant. Or that it was located in a mall. Or that the menu was a combination of American cuisine and sushi. Really? 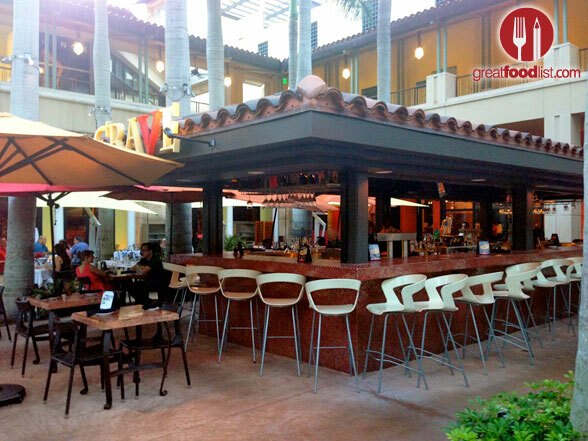 When we arrived at CRAVE, located in the first floor garden area of the Village of Merrick Park in Coral Gables, the expansive indoor/outdoor space was virtually empty. Not a good sign, even for a Monday night. After being greeted by a friendly host, we were escorted to our table. Upon looking around, I was pleasantly surprised by the interesting and modern décor. Our waitress was waiting for us as we were seated and informatively recommended a nice glass of red wine while explaining our coupon’s inclusions. After ordering, we were even welcomed by the restaurant manager. Maybe things were starting to look up? Now, on to the food. That’s why we’re really here anyway, right? 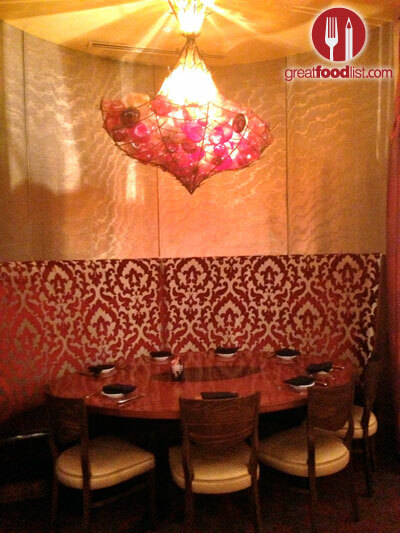 As mentioned, our coupon included three courses: one appetizer, two entrees and one dessert. 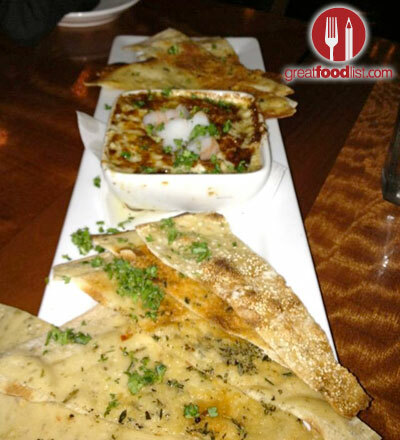 For the appetizer course we chose the Crab & Artichoke Dip ($12.95), a creamy blend of lump crab meat, artichokes and cheese, topped with fresh herbs and baby shrimp, and served with tandoori bread slices. Despite relateively low expectations, but this appetizer was actually very good. The crab meat was fresh, the herbs provided a nice flavor punch and the tandoori bread was a great serving vehicle. Dare we say, we were actually looking forward to the entrées? For the mains, I went with the Pan Roasted Sea Bass ($34.95) while my friend opted for the Seared Rare Ahi Tuna ($28.95). 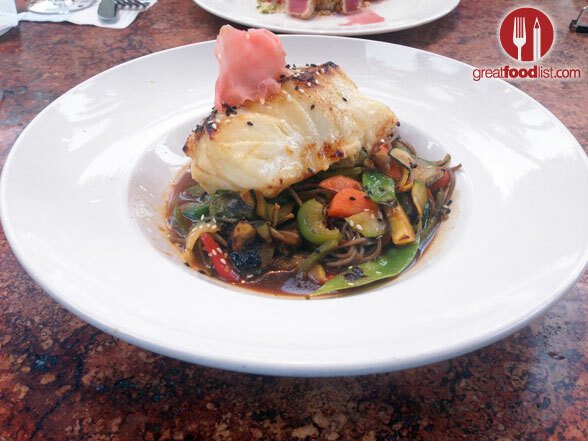 The Sea Bass was delectably plump and juicy, cooked in a miso marinade and soy glaze, served over stir fried vegetables and soba noodles, and topped with pickled ginger and sesame seeds. The Ahi Tuna was equally delicious, served with avocado salsa, citrus sesame couscous and a fresh cucumber relish. Two more scores for the home team! As we moved onto the dessert course, we hit a slight hiccup, as none of our first three choices were available. That said, the aforementioned great service stepped up and counter offered our one dessert with the option of selecting four mini desserts ($3.25 each or $17.95 for all). We went for the Berries & Cream, with fresh berries and a citrus shortbread biscuit; the Blueberry Cheesecake, with graham cracker, fresh blueberries and shaved white chocolate; the Salty Caramel Mousse, with a shortbread cookie; and the French Silk, with chocolate mousse, cookie crumbs and shaved chocolate. 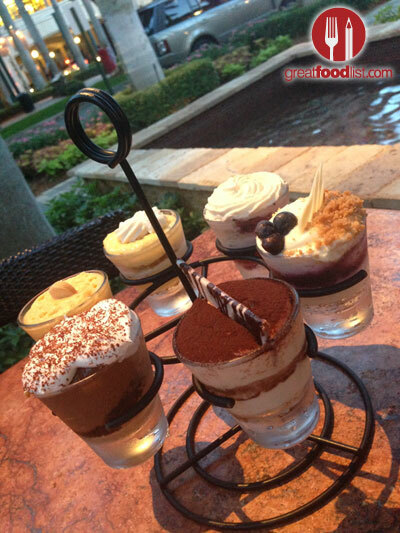 If that didn’t sound like enough, our waitress also brought us two more mini desserts – the Key Lime Pie and Tiramisu. Overkill? Maybe, but nonetheless a very nice gesture. Remember the old saying “never judge a book by its cover?” Despite outward appearances, CRAVE certainly (and surprisingly) lives up to its “Fresh · Vibrant · American” tagline. 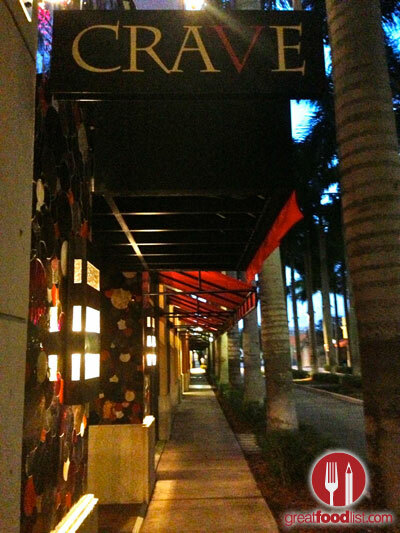 So, if you’re looking for a relaxed, casual dining experience in the Coral Gables area, ditch your pre-conceived notions at the door and give in to your cravings at CRAVE: a Miami restaurant with something for everyone.